So, for people who don’t know you, tell us about your life so far in BJJ? It’s not often that UK fighters get to travel across the states to fight in such a prestigious event, tell us how you managed to get there? How did you come to the decision to travel to fight at the Pan Ams, that’s a very big commitment, especially for a UK fighter? 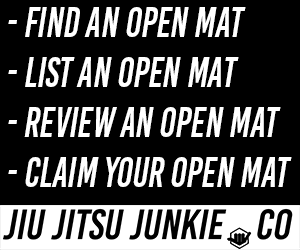 What are your BJJ goals for 2014? Would you like to promote yourself and your team? For those you don’t know Jamie, he’s a hard working BJJ fighter who trains at Greg Creel‘s club Celtic Pride Martial Arts. He recently started gaining traction as a fight and getting his name out when his Make a Champ page was shared all over Facebook. So, I decided to interview him and see how his training for this week’s Pan Am’s is going. Hi, my name is Jamie Hughes, I’m 23 years old, and a brown belt in Brazilian jiu jitsu. I have been training BJJ for a round 4 and half years under Greg Creel and Pedro Bessa at Celtic Pride martial arts in abertillery, south wales. I initially got into BJJ to help transition into MMA as I was coming from a muay thai background, I fought MMA 11 times going 9-2 as an amateur, but for the last 2 and a half years I have been training and competing solely BJJ pretty much full time. In that time I’ve been lucky enough to compete extensively in the UK ,Europe and Brazil, and also win British,English,Welsh and Irish titles. Now working very hard to get my first major international title, hopefully at the Pan Ams next week! Its been a mixture of hard work, lots of saving and the brilliant support of my family,friends and team, being able to compete at the largest and most prestigious events is why i train so hard and dedicate all my time to jiu jitsu so i can take on the best guys in the world. its true not many UK competitors don’t get the chance but its even less so for welsh athletes, I think I will be the only welsh athlete competing at the Pan Ams and pretty sure one of the first from Wales to compete there too, which is pretty cool. The decision was pretty simple for me, i want to be one of the very best competitors to come out of Wales and the UK so the only way to do that is by competing against the best athletes at the biggest events, and also in the build up I’m lucky to be here training with one of my masters Eduardo Telles at his academy, being able to learn from him and spar with him a lot fills me with a lot of confidence. My goals for 2014 are to keep improving and learning as much as possible, to compete against the highest level of opposition I can, to win or medal at the Pan Ams and Worlds, and to hopefully earn my Brown belt by the end of the year if I can keep my hard work in the gym and success in competition. Oh and also to help grow and keep helping our kids team at Celtic pride martial arts. I’d like to give a huge shout out to my family and friends for all their support in my endeavours, my team Celtic Pride Martial Arts and all the Pedro Bessa BJJ family, my brilliant sponsors Tatami Fightwear, Inner Strength Supplements and Connection Rio. Also my coaches Greg Creel and Pedro Bessa. And two of my idols Eduardo Telles and Fernando Terere for their help with my training and inspiring me. And a big one I almost forgot a massive thanks to everyone who supported my make a champ campaign, who helped me raise the funds to be able to compete at 2014 BJJ worlds.